If there is one thing everyone who knows me would say about me, it is that I love winter, so now that it has arrived I am as happy as can be. 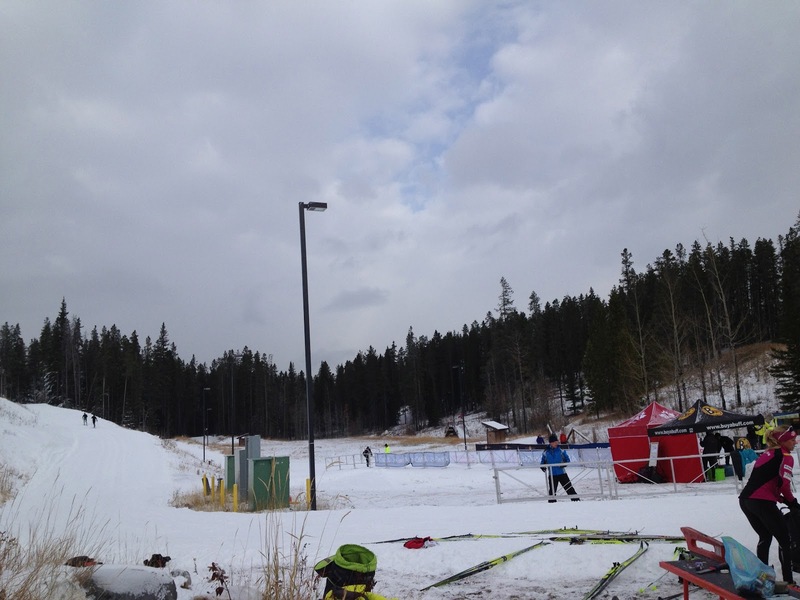 It has been a month now since I first skied; October 11th was the day this year. 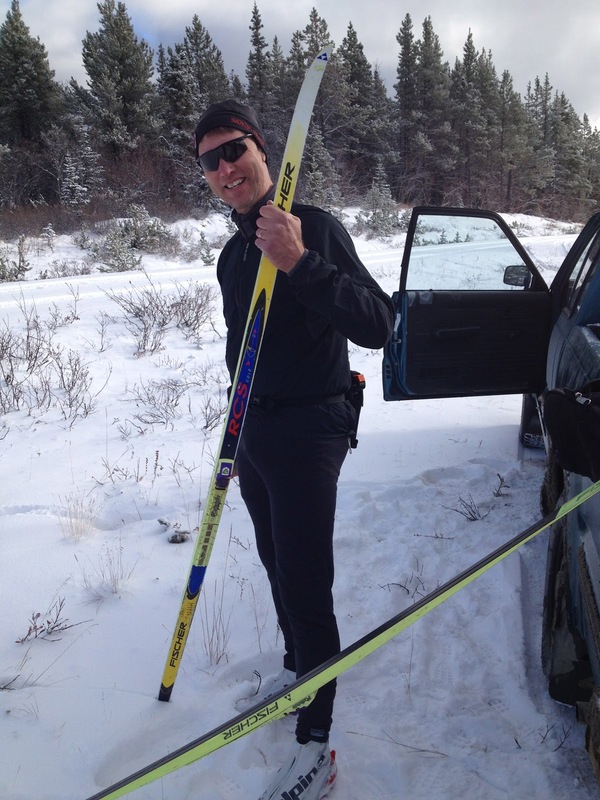 I put on my skis after the first big snowfall and skied a couple of loops of the Fraser loop trail in Whitehorse. As per tradition my first ski of the year was with my dad. 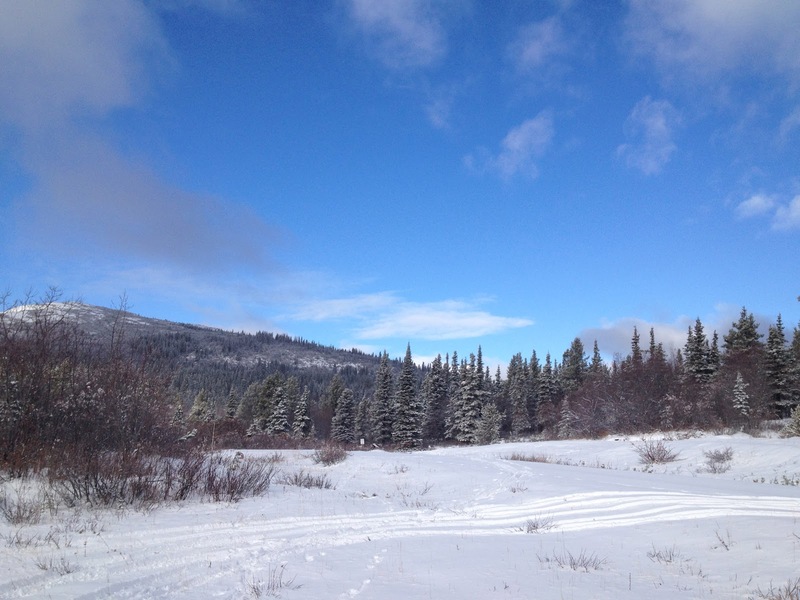 Even though there was not a set track and the conditions weren’t ideal, the amazing views and snow covered trees made for a perfect ski. Sadly the next day I had to board a plane so no skiing. It was only a short 4 days until I was back on snow with the opening of Frozen Thunder here in Canmore. So for the past month all of us here in Canmore have been oh so lucky as to be able to ski almost every day. Just last weekend some of the trails above the cross country stadium were opened which gave us all a welcomed change of scenery. This past month in Canmore has already yielded cold winter days, snow storms and warm Chinook winds that temporarily brought back fall. 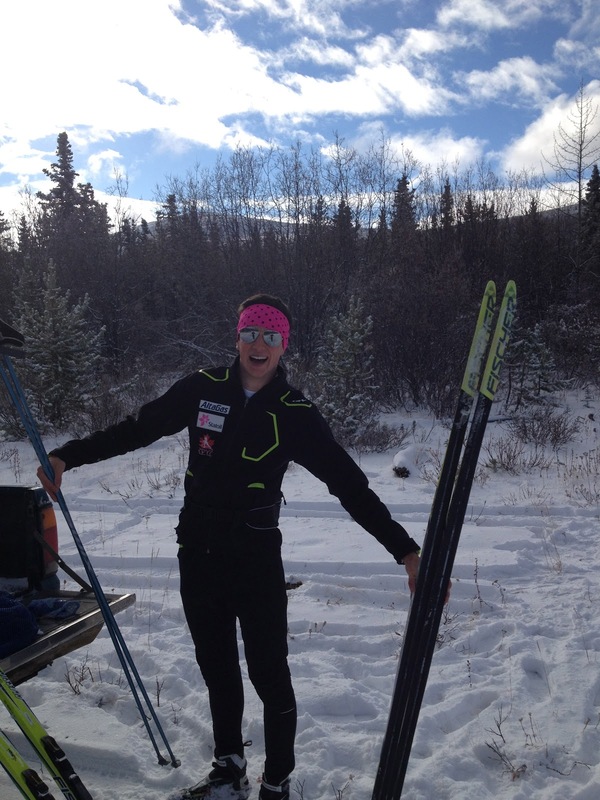 On October 26th I participated in the WinSport Frozen Thunder Classic Sprint. 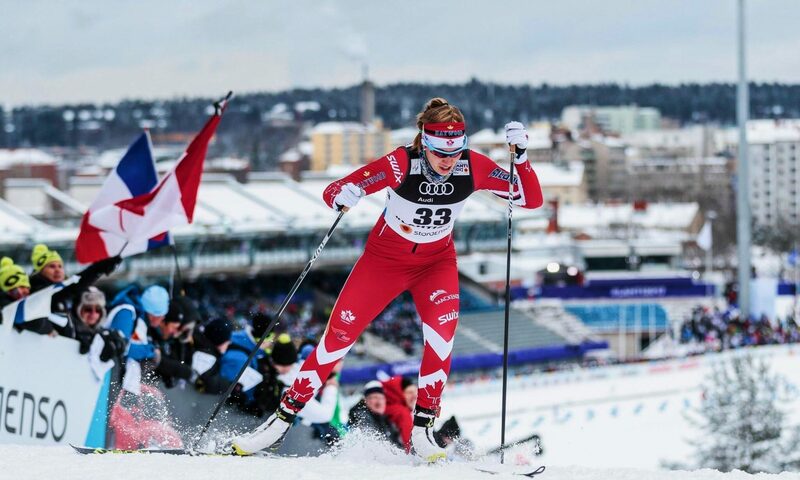 This was a great event with an extremely competitive field made up of many top Canadian and American skiers. This was also an opportunity for the Academy to show off their great new Stoneham race suits. Big thanks to Stoneham (http://www.stoneham.se/stoneham.php ) for supplying our team with race suits and training clothes! Knowing that only the top 16 qualified for the heats I went into the race with little expectations other than to ski as well as I could. Needless to say I was very pleased when I qualified 10thand was put in a heat with Chandra Crawford, Jessie Diggins and Brittany Webster. The heat was great practice and I learned a lot. Even though I ended up 3rd in the heat and did not move on, I was happy with how I was able to stay right in the mix until the end. 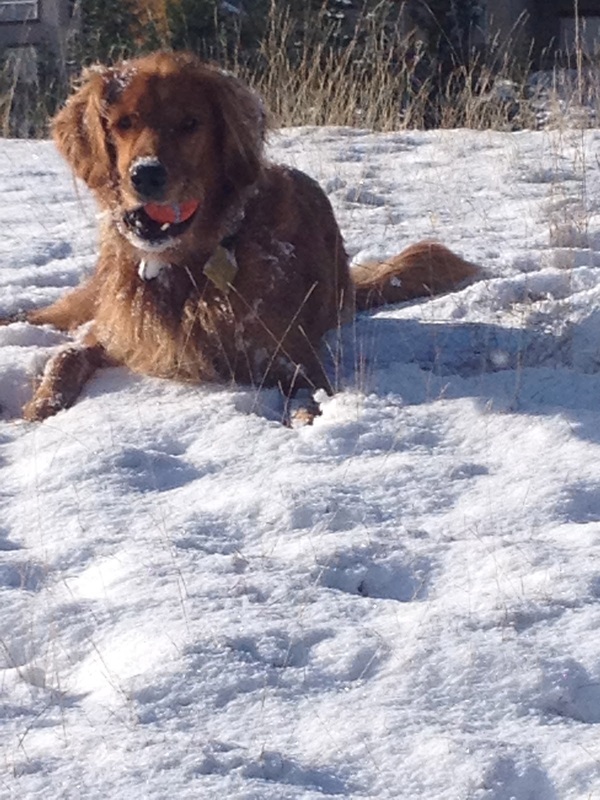 Thanks for reading, Happy trails and for those who are not yet on snow I will be doing a snow dance for you! Next PostNext 10 days until my first World Cup race! What a great weekend.